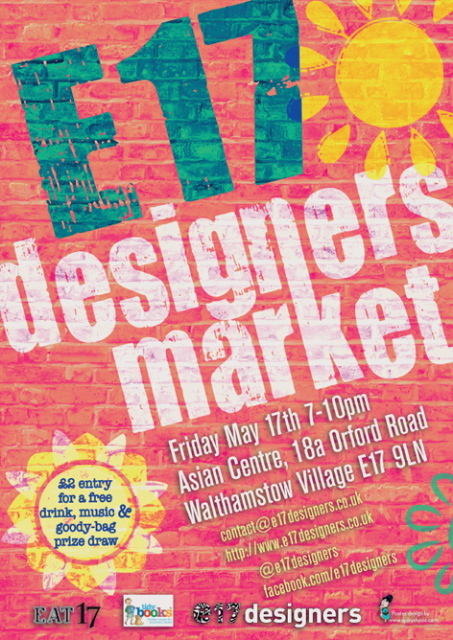 The E17 Designers are holding a special spring evening event in Mid-May comprising a craft and design fair with live folk music and a belly dancer. 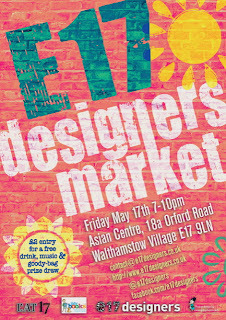 "Our annual May event brightens up your Spring with our established and new designers, all drawn from the local area with a mix of art and designer craft- surely you need to check us out first for one-off gifts. Bringing you the best in well-crafted products. Folky acoustics from The Coypus and Flash belly dance from Chloe Redmond"